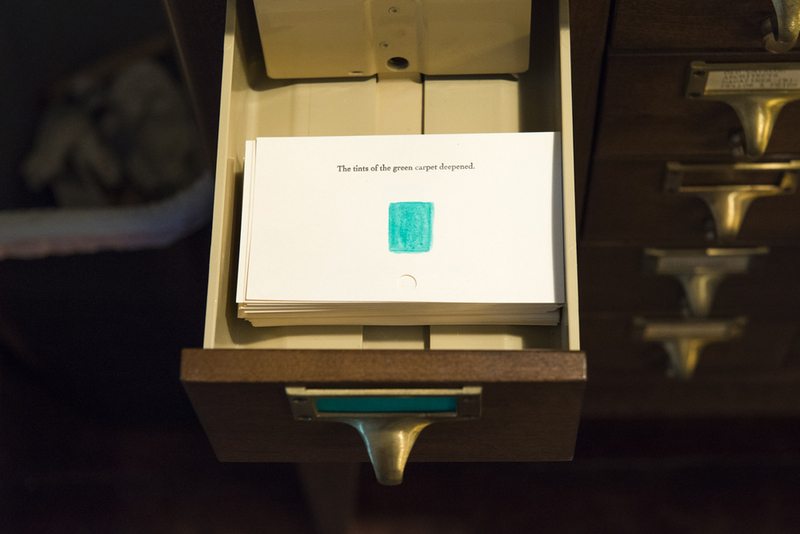 'Through The Pale Door' in collaboration with The Athenaeum of Philadelphia consisted of a limited edition book made for The Hidden City festival. The inspiration for this project stemmed from one book in The Athenaeum's vast collection, 'Poe House' by Frank S. Welsh. This text heavy book is a paint analysis report, (initially written for National Park Services in 1984). It categorizes the layers of paint discovered on architectural coatings throughout the house compiling written descriptions of color, while referencing the Munsell Color System. First Floor, Room 103, Parlour - Original wood trim: Trim of doorway to 104. Second Floor, Room 205, East Bedroom - Original wood trim: trim of doorway to room 206: north architrave's return edge, (sample 1). The pages of the book are made from white Johannot printing paper. Text found in the book is Cochin type and has been letterpress printed at Second State Press on a Chandler & Price old style press in black rubber based ink. 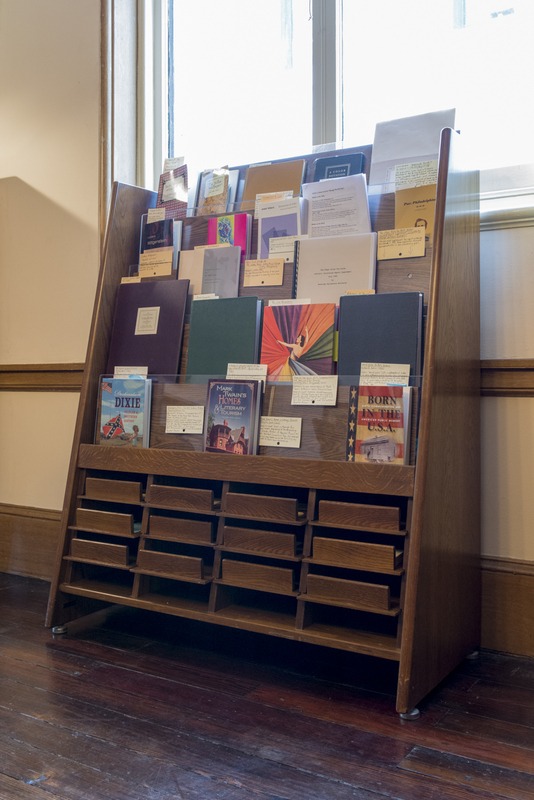 The books and conservation boxes that hold the books are cased in binders board and covered in Buckram Record Linen Finish with embossment.